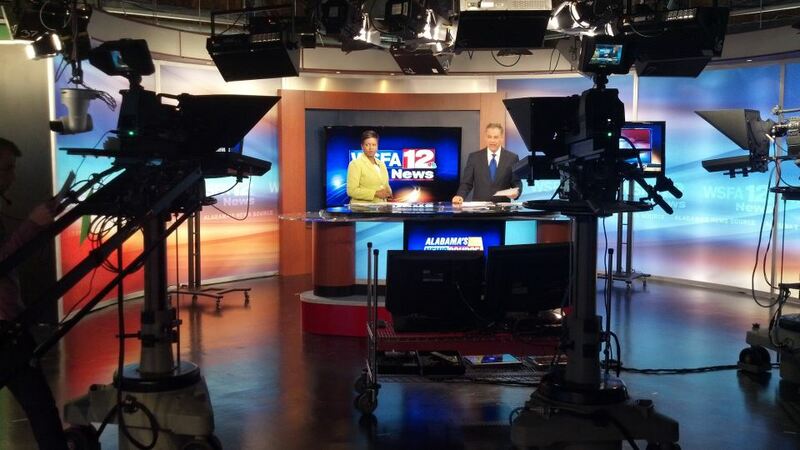 Raycom Media’s WSFA-TV debuted a new set in late April. The set, by FX Design Group, features a standing anchor desk, working weather center and stand up location. The sets camera center background includes a large monitor with wood surround. 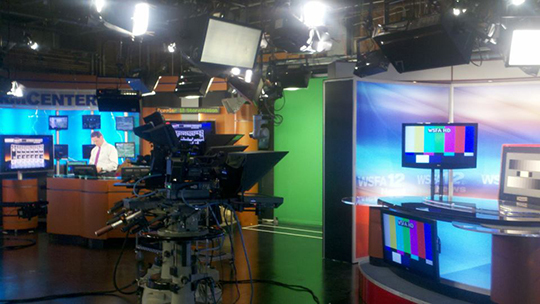 Printed graphics, which mimic the stations graphics, are on camera left and right.